Nobody wants to talk about pain and suffering being the will of God in our lives. In fact there are some preachers that preach against that. Jesus told us He came to give us abundant life. But He also told His disciples to take up their cross and follow Him. And we know that the cross was painful. The more I study, the more I am convinced that we must embrace both hardships and abundance, and trust they are for a greater purpose in our lives as the Lord prepares us for what’s next. God chose Job to endure the enemy’s testing because Job was one of God’s favorites. I’m encouraged by this. We’re often tempted to believe God is punishing us when bad things happen–that’s what Job’s friends thought, but the story of Job proves differently. God trusted Job’s faith. He trusted Job would worship Him even when all earthly blessing was lost and his own health deteriorated. I pray we may have such eyes of faith. The rewards are coming. “Hard days come in all shapes and sizes. A difficult job. A loss of a loved one. Illness. A move. Loneliness. Heartbreak. Singleness. Infertility. Anxiety. Financial struggle. Divorce. The list goes on and on. Sometimes our own actions place us in those difficult days; they are the aftermath of our own free will. Sometimes they are totally out of our control. But God never intends for these hard days to become our identity or steal our dreams. He can use them to call us to new dreams as well as resurrect old ones” (p. 200). I feel a prayer coming on. Hold my hand. Want to dig deeper to live fully? Want to do more that just read the verses? If so, here’s a printable you can download with the scriptures and prompts to deepen your time with the Lord. Absolutely no cost! Not even an e-mail address! Just leave a comment to enter the drawing. If you are new to my blog, sign up to receive posts by e-mail to get two entries! (Three if you are a new sign up and comment too.) I’ll announce the winner next Monday (July 24, 2017) on my post and my Daily Broadcast. even suffering If I can see God in Everything Streams in the Desert The Lord gives and the Lord takes away. 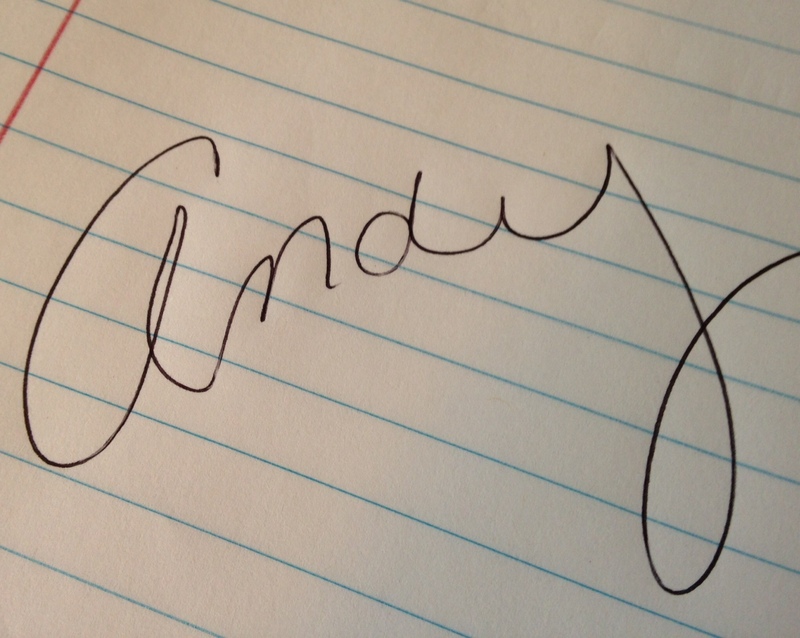 Hi Andy, what a blessing this series has been to me. These days I feel like I’m running on empty. I hope the good Lord has a use for it! The Lord doesn’t waste anything, Laurie! So glad this series has been a blessing. Praying your cup gets filled. Thanks for stopping by! Thanks for subscribing too! You have three entries into the giveaway! That is wonderful Diane! Yay God! Yay you! I’m so excited you got a good job!! We will miss you. I’ll be praying! Thank you for sharing! You’re entered. Hi Robyn! Thanks for sharing! I have no doubt that God has you here for good purposes above and beyond what you can imagine. I’ll be praying. You’re entered! I was looking for something prayer related on Google over the weekend and you popped up so I started listening to your Bite of Bread series this week. I am going through a season of waiting right now and some days it feels like suffering. Thanks for directing me to Ephesians this morning. I hadn’t thought to read that book. Your words of encouragement and truth have helped me this morning. I took a sunrise drive through the city this morning (a quick drive before work) and what started as quiet time/prayer with God, turned into discouragement, panic, guilt, and lies – Thanks Satan! God has quickly restored my peace and joy, thankfully! Love your blog and your FB live feed! Hi Lacey! I’m so excited you found me! I love how Holy Spirit works through Google. 😊 Thanks for dropping by and sharing. Praying for you in the waiting. Patience is defined as long suffering. But I’ll pray for a sweetness in the wait. Blessings! Your entered. Powerful lesson….heartfelt — thank you for teaching me. Shared. This one was for me, Andy! You know I’ve had my share of “stuff”. Because of my family situation, I have always struggled with the ingrained belief that circumstances have been a punishment because I’m not good enough, don’t do enough, don’t try enough, that I’m just …wrong. I have gone through stretches of wailing to God about how He made it too hard, that I couldn’t do what I didn’t understand, that I tried to change myself into what He wanted but fell miserably short. As days, weeks, years unfold, God has shown me more and more how my view of Him is scrambled up with my earthly parent experience, and has used my questions/cries/anger to guide me into places where I would start understanding who I was, so I can start to really understand who He is. I have also carried a lot of guilt and shame about my arguing, my questioning, my non-stop thinking, my kinda weird personality – which have always been a “reason” my earthly parent gave for treating me poorly. God has lately been letting me know that He actually made me this way for a reason, that He doesn’t want me to try to be like anyone else, and that these are blessings to be celebrated, not curses. Sure. Trust me. I wish there had been an easier way. In fact God and I have an inside joke ~ when I talk to Him about something, like asking for help with trusting Him, I generally insert an implied asterisk ~” *And could we find an easier way to get me there, Lord? ?” But I am starting to understand why muddling through a whole lot of bad is really, really good. God has pointed out to me that, although I go through my fires kicking, screaming, and mad as a wet hen at Him, I always go back to Him. The funny thing is, I never realized it, because it doesn’t look like the pretty images of perfect Christians I have in my head. But God told me what it is I have, which kind of floored me. “The funny thing is, I never realized it, because it doesn’t look like the pretty images of perfect Christians I have in my head. But God told me what it is I have, which kind of floored me. He said I had faith. It ain’t always pretty. but things you make the hard way usually aren’t.” Love this Jude! Why do we think faith should look pretty? You go girl! Faith muscles on steroids! You’re entered. Hi Mary, first, I’ve got your Dunks coffee card! Going in the mail today. Second, I’d like to remove that label someone put on you so many years ago. The truth is, we all have sorrow and suffering, it’s what we do with it that matters. You also have amazing blessings. I know three of them! I’m sorry for the pain and grief in this past season with the loss of your dad. I will be praying for you. You are entered. This was very comforting , although at first I didn’t think it was going to be! I am glad we are going to be in this subject this week. I will be blessed by studying the verses you were given! You’re right though…nobody really wants to speak of the hardships we endure but we must embrace both the bad and good. From pg.200 in your book, I had highlighted that and really highlighted “A Move” because we just made the move to Florida. I’m hoping in time I learn the sweetness and calling of this move. Although extremely blessed with my husbands new job and beautiful house and great new city, I’m dealing with loneliness and anxieties. I think this well will be good! Oh April, I’v been there! It sounds like the Mary study came at a perfect time for you! I’ll be praying. You’re entered!